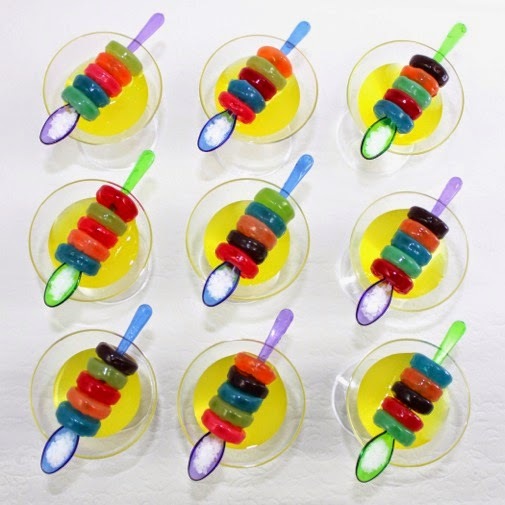 Project Denneler: Shout-out for Margarita Shots! 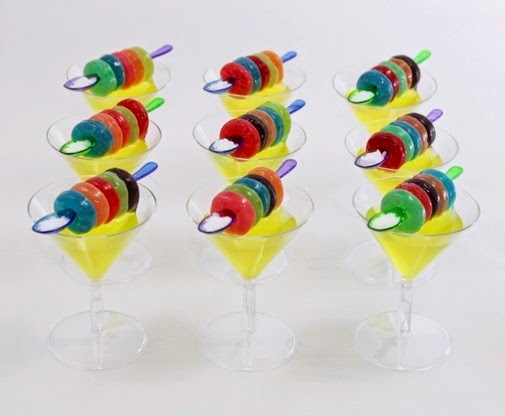 If you need a delicious party beverage that doubles as a festive decoration, then I've got the perfect recipe: Margarita Gummy Shots. 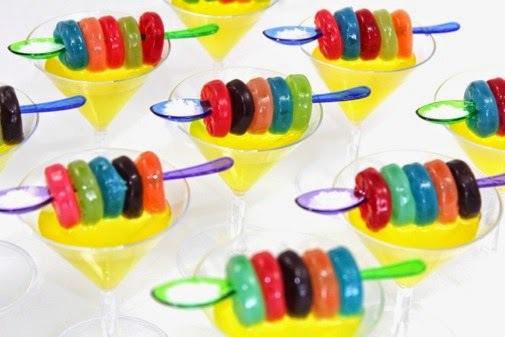 They're a clever and colorful combination of mini margarita cocktails and tequila-soaked gummy Life Savers, served on a tiny spoonful of salt. They'd be magnifico for Cinco de Mayo or splendid at any summer party. 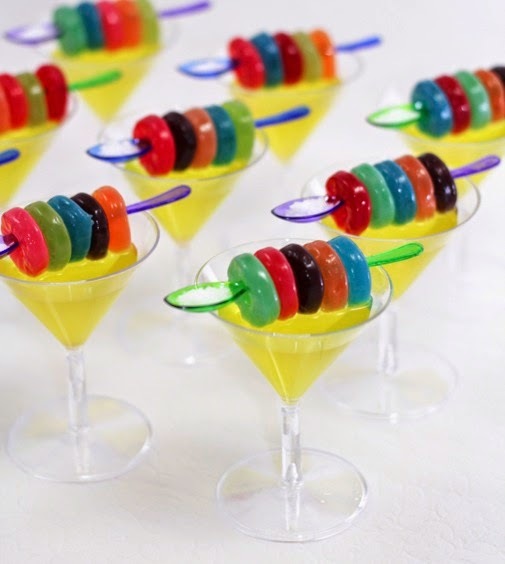 For the complete Margarita Gummy Shot recipe and details, head over to my tutorial on SheKnows.